Edoardo Carlo Ceretti 28/05/2018 ore 17:27 - Aggiornato il 25/03/2019 ore 21:04 Il suo nome è TWIN Smart Strap e potrebbe rappresentare il compromesso ideale per chi ama i veri orologi, ma che gradirebbe una spinta smart in più. Non è un segreto che, per il momento, gli smartwatch non abbiano fatto breccia nel cuore del grande pubblico, relegati a gadget di nicchia per veri nerd. Soprattutto agli amanti degli orologi tradizionali non va proprio a genio l’idea di sostituire il proprio gioiello con un apparecchio dotato di display e circuiti. Lo storico produttore Montblanc però, nella manica ha un asso che potrebbe convincere anche i più diffidenti. Non si tratta infatti di un’alternativa ad un orologio tradizionale, né un altro dei tanti smartwatch ibridi, bensì una soluzione peculiare e, a suo modo, geniale: un cinturino smart, che si può applicare a qualsiasi orologio, aggiungendo alcune gradite funzionalità avanzate, senza snaturare la filosofia dell’orologeria. Montblanc TWIN Smart Strap è infatti dotato di un display curvo OLED monocromatico e retroilluminato, utile per la visualizzazione delle notifiche ricevute sul proprio iPhone (per ora niente supporto ad Android), di un motorino per la vibrazione, connettività Bluetooth e modulo NFC, tramite il quale è possibile anche effettuare pagamenti contactless (Montblanc Pay) digitalizzando la propria carte di credito. Il cinturino è costruito in gomma nella parte interna, mentre quella esterna a scelta fra pelle di vitello nera o marrone e nylon nero o nero e grigio. Montblanc TWIN Smart Strap sarà disponibile nelle dimensioni di 20 e 22 mm a partire da agosto 2018 al prezzo consigliato di 390€. The thin and light weight smart module made of high quality watchmaking stainless steel and covered by a curved special glass highly resistant to scratches and shocks acts as a mechanical clasp to fasten the timepiece, with a sophisticated design that blends in with most timepieces. Under the elegant protective glass lays a curved monochrome OLED display to read notifications and an LED light array to be visually notified, on top of vibration alerts. Bluetooth connectivity ensures smooth communication with the Montblanc TWIN companion app for iOS and the NFC chip with Secure Element allow easy contactless payment. The module is IP68 water resistant and allows for up to a week autonomy on a single charge. The high quality and comfortable strap that can be mounted on most timepieces without any tools, and be adjusted for any wrist size. The strap exists in two different widths – 22 and 20mm – which adapts to the standard width of horns for most male watches. The strap itself is made of a high-quality rubber composite with structural blocks specially designed to allow guided and easy adjustment. The upper part of the strap exists in four different versions to allow personalisation and match classic but also more contemporary types of timepieces: black calf leather, vintage brown calf leather, black nylon and black & grey striped nylon. 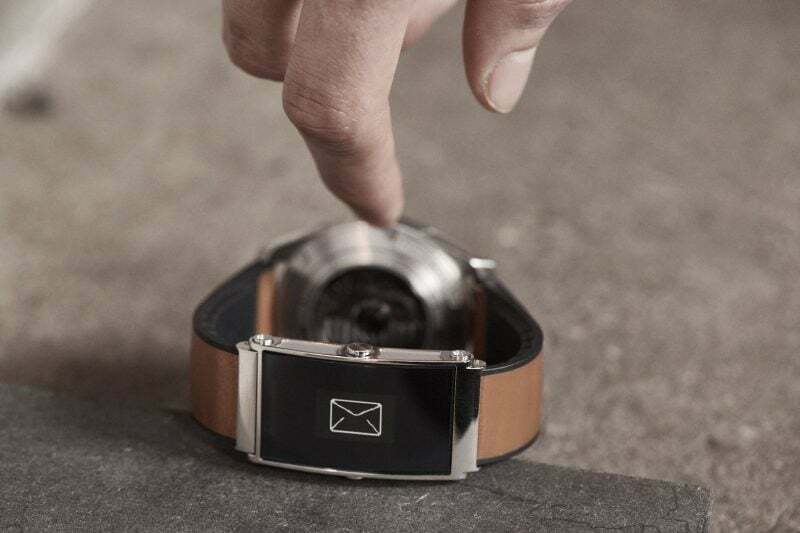 Montblanc unveils a new feature with the TWIN Smart Strap – Montblanc Pay – a new mobile payment platform that brings contactless payment to its owner’s wrist, allowing mechanical timepieces to act as digital wallets for the first time and pay with a simple wrist gesture at all compatible payment terminals. Montblanc Pay allows the user to digitalise up to five credit cards into the Montblanc Twin companion app. 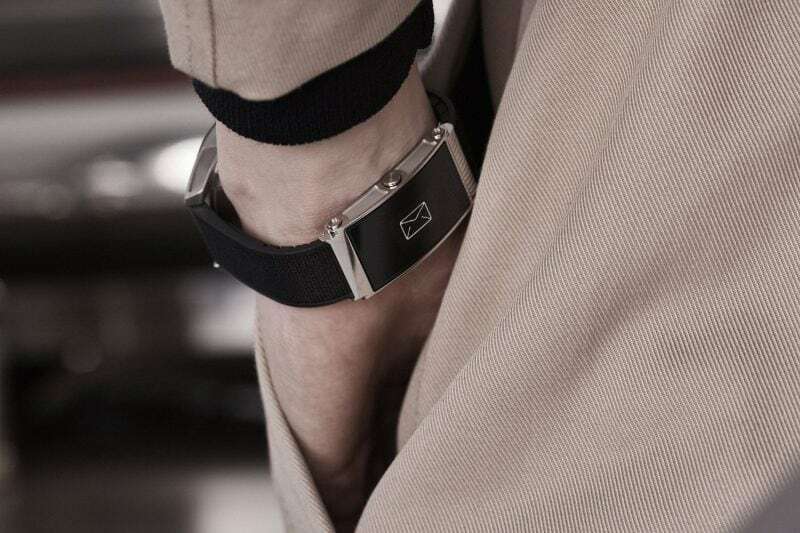 Developed in full partnership with Visa and Mastercard to ensure the highest security standards, ease of use and reliability, the Montblanc TWIN Smart Strap is equipped with security sensors that deactivate the payment function in case of theft or loss, with state-of-the-art data encryption to prevent hacking of credit card data and other personal information. Because capturing time has always been the purpose of the fine art of watchmaking, the Montblanc TWIN companion app reinterprets this purpose digitally by beautifully representing the user’s daily activities in a ring pattern. Each of these daily rings becomes a digital diary when zoomed into, giving the user visual feedback and insights that can be used to take back control of his or her time. “Memories” is a new feature that automatically synchronizes with the user’s iPhone, copying and showing all the calendar events in the app. For the period of time during a calendar event, the algorithm automatically copies any picture or video taken from the phone into the respective calendar event. This allows the user to easily access his visual memories by simply looking back into calendar events in the Montblanc TWIN app, creating a deeper emotional bond with the timepiece through this advanced function.